It was pointed out to me today that this article covers a woefully small amount in the way of gaming. I attribute this to the fact that I wouldn’t really consider myself a gamer and as such don’t really feel qualified to cover the majority of games out there. One of the guys that I work with is a big fan of the digital distribution network Steam so in order to plug the absence of gaming related material in this article, I decided to download it and give it a spin myself. Steam is a multiplayer, games distribution and communications platform developed by Valve Corporation (famous for games such as Half Life and Day of Defeat) which has been designed to distribute a wide range of games and related media entirely over the Internet. At present there are 667 games available on Steam and over 20 million user accounts. Users of the Steam system are able to instantly test drive then purchase games entirely digitally thus removing the need to purchase a conventional CD/DVD media along with the standard box, manual and CD key. 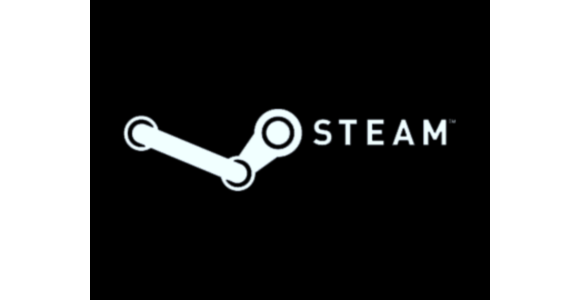 Purchased software is immediately attached to the users’ free Steam account meaning that it can be played on any Internet connected computer which allows the Steam client to be installed. This means that not only can you then play any purchased games from any computer, but also as the software is downloaded on demand, players will always be using the most up to date version. Downloads are handled via 174 dedicated content servers spread out across the world and as the software connects to several simultaneously you should be ensured of a fast connection. The most appropriate version of the game will be automatically selected for you based on your hardware and software configuration meaning that problems should be kept to a minimal, irrespective of the computer that you choose to play the game on. As well as allowing these games to be played in single player mode, Steam also works as a very effective multiplayer platform so that you can search, filter and bookmark Internet and LAN servers in order to locate others to play with. A friend list means that you can easily locate and play with others you have challenged before as well as finding others based on their interests. An inbuilt chat system means you can talk to others during the game and an inbuilt anti-cheat system ensures that all users participate fairly. With regards to the actual games on offer, Steam encompasses both independent labels and the major publishers with prices varying depending very much on the game in question. Some smaller games are available for just over a fiver however those by the major publishers will often be the same price, if not a little more, than you would find them for in the shops. With hundreds of games available it’s not possible to cover the entire scope of the games on offer however for a full list check out www.steampowered.com to see a full list of games which can be filtered based on the game category, number sold or the rating given by the community. Current top rated games include Half Life 2, Bioshock, Grand Theft Auto Vice City, Unreal Tournament and Team Fortress 2 – all titles that any gamer will recognise.